The Yellowbrick Tracker is a two-way messaging device that uses the Iridium satellite network. 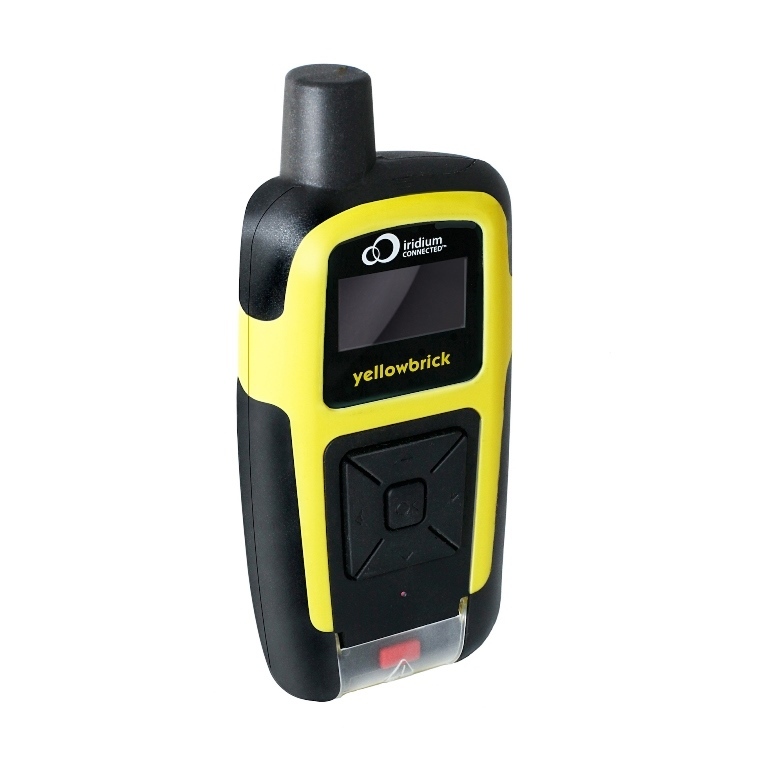 It seems to be marketed primarily to the sailing world, but we decided it might be useful for our cycling trip so that people can follow us in real-time and allow for communication without access to WiFi/3G. The device is completely self-contained, sealed, waterproof, and rugged. The physical design is really first-class. The whole thing is made of hard rubber and plastic, and feels very tough. There is USB connector at the bottom, and it has a waterproof cap. The rest of the unit is sealed. There is a red button under a lift-up cover that you can set up to be your SOS button. There is no way you can set this off accidentally, and it is very obvious what its for. 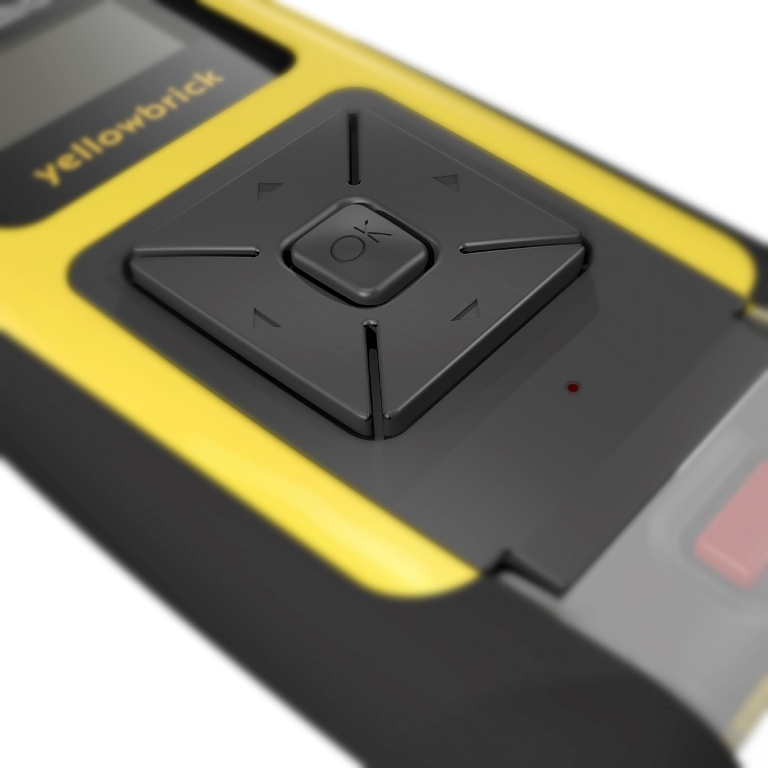 I like this much better than the competing SPOT rescue beacon, for example, which has confusing buttons and LED indicators that you need a handbook to decipher. The menus are accessed by a central button, with four scroll buttons around it. 1. Tracking: You can set the Yellowbrick Tracker to wake up at regular intervals and report your GPS location using the Iridium data connection. The location can be sent to a blog page, to email addresses you previously set up on your Yellowbrick account page, as texts to mobile phones you likewise previously set up, or any combination of those methods. Note that you have to set up all the email addresses and phone numbers before you go on your trip, you can’t send anything on the spur of the moment to a new address. The tracking intervals are selectable on the device itself, and you can choose from continuous, 5 mins, 10 mins, 15 mins, 20 mins, 30 mins, 1 hour, 90 mins, 2 hours, 3 hours, 4 hours, 6 hours, 8 hours, 12 hours, or “burst” (where it saves the tracks until you next check in). The default is 10 minutes, but I would suggest using 1 hour or longer to maximise battery life. 3. Blogging/Messaging App: You can link the Yellowbrick Tracker to a smartphone via Bluetooth, and use the Yellowbrick App to write text blog entries and/or messages to your previously set-up contacts. This basically lets you have a keyboard. You can also post to Facebook and Twitter. 4. Alerts: You can send an emergency message to a previously set-up list of contacts. Raise the cover and press the red button. Wait for the helicopter. It’s very durable and very affordable. When doing our research we reviewed the initial investment in the device and the overall costs and contractual requirements of other satellite systems. Yellow Brick was the most cost effective over the long term. Their customer service has been great and it has always worked when we’ve used it. It is a bit clunky but we just have it in the bottom of one of our panniers and it doesn’t bother us. We recommend this if you’d like to track your trip and keep your location up to date for your friends and family.